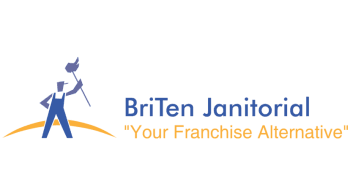 BriTen Janitorial & Floor Care LLC was founded by Brian and Tennille Williams in 2000. 1. Upholding our core values at all times to our community, clients, and employee's. 2. Plans for growth and vision, and communicating that to our managers and employees. 3. Marketing and networking with clients and appropriate organizations. 4. Making sure all applicable state and federal laws are adhered to. 5. Empowering our employees to be successful (in business and life). 1. Responsible for employee assessments and fiscal goal setting. 2. Communicating our vision for the company to clients and employee's. 3. Executing day to day operations in all branches of the business. 4. Marketing and networking with clients and appropriate organizations. 5. Maintaining growth and profit margins in all area's and accountability of the business. 2. Maintaining all forms, records, payroll and invoicing. 3. Maintaining all office services (phones, eBay, social media, communication with all managers, employee's and clients). 4. Creating efficiency and innovation in all en devours she is tasked with.